"Carol, I have been a full time Realtor for 26 years and have been a manager of an office myself at one time. Carol is the most knowledgeable and professional broker I have ever worked under. She is always there for you, right when you need her. RE/MAX is a great franchise because of broker/owners like Carol." "Carol is a broker dedicated to her business and supportive of her sales agents. I highly recommend Carol if you are looking for a cutting edge office." "I like Carol as a person and that does matter when I am looking to work for someone who is a Broker. But what makes me want to work for her is the amount of respect I have for how she handles her business. She runs a smooth office, there are plenty of sharp people who lend a hand to help grow my business. As accomplished as Carol is she rarely talks about herself." "Carol Boji has a vision, . . . to build something that sets the standards for other Real Estate offices to follow. With much hard work and diligence Carol is constantly moving forward. Carol is tireless in her focus on "Building a strong company to help great people achieve outstanding results". Carol leads her agents with a fair but firm hand in today's market." "I've been selling real estate for 26 years and Carol is the most fantastic broker to work with. She runs a top notch company!" "Working with and for Carlina has been a pleasure and an asset. She has created an atmosphere of professionalism while accommodating the agents' needs on a personal basis. Of the four different brokers I have worked under, none have provided a better support system or kept their agents more informed of necessary tools and changes to stay on top of our business." "I have been a Realtor since 2005. I have worked with several Brokers who manage and who were owners until 2010 when I came to RE/MAX Classic. I do not see myself going any where else. I have come to know Carol Boji pretty well, professionally over the past several years. I am more than happy to tell the world, I have not met, heard of, read about or dreamed of, a Broker and/or Real Estate Co better than Carol and RE/MAX Classic. It is difficult to think of anything that can be done better than it's done here at RE/MAX Classic. Carol, herself is always just an phone call or email away. Even when she is not in the country. Everything imaginable you may want or need is here. Including but not limited to, immediate access to a great manager. Training(year round), technical support, help with advertising(we have an in-house design center). I could go on and on. The point is, if you're not as successful as you want to be as a Realtor, after coming to RE/MAX Classic, check the mirror." "I have worked with and for Carol at RE/MAX Classic for many years. I have previously worked for and been managed by many Brokers but never had the backing and support as I do with Carol and RE/MAX Classic. I have recommended many people to come work with us and they have all grown with much success in their real estate business. If your looking for a dedicated broker who will help you succeed and are goal driven, RE/MAX Classic is the place to be." "RE/MAX Classic is the second brokerage I've worked for. Being a newer agent I was looking for a brokerage that gave a lot of support without being overwhelmed. The weekly training classes for new agents has given me the base knowledge I was looking for. The other classes on industry tools and business planning are outstanding! Along with the structured courses the staff is incredibly supportive: always available for questions. The marketing department takes the time to lead me through all the steps to brand my self and assists in setting up my online and print presence. The graphic designer works with you to produce high quality designs at low cost in house printing options. The support is endless! I'm sure there is more I've yet to experience! You can tell that the ownership and management team at Classic values agents because of the investment they make in agents! I will never look back to my old brokerage, RE/MAX Classic is the best! I love being a Classic Realtor!" "I have had the pleasure of knowing Carol Boji for many years, which goes back a decade or more. :-) Carol as a broker is one of the most insightful wise and intelligent, on the spot decision making broker I have had the pleasure to work with and know. She is as savvy in the real estate market as she is genuine and personable in her hands-on approach with her Agents and Staff. I have found that in this business you want a broker who cares on a personal note about your business objections yet extends themselves with our personal travails. Both are quite instrumental in succeeding as there will be highs and lows realistically in this field. Carol and RE/MAX Classic offered me personally the technology I needed to present my business in the most proficient way and she continues to do so a decade or so later. Realtors, new or seasoned will seek and shall need occasional or a participatory broker behind them that is consistently keeping up with new trends to make you, the agent, effective in meeting personal and business goals, including a marketing/business staff to accommodate both. I admire Carol being savvy, trendy and caring about her agents. She is remarkable with juggling more franchises out of Michigan than other area RE/MAX franchises. She is active in many charities and especially the Children's Miracle Network. Carol also has new construction projects. She has kept up competitively and has run with the big dogs and still here in the worst of times. I am proud to say Carol is a wonderful broker and also a great friend to myself and us all. I wish her many more great years to come in growing RE/MAX Classic!" "Wonderful Owner Manager to work with. "I have had the privilege to work with her for for 3 years. I highly respect her & she has excellent ethics and works extremely hard in her business." "Carol is a very knowledgeable broker/owner. Her door is always open to answer any questions or provide advice. She is very dedicated to her agents. I have worked with Carol thru my entire Real Estate career. That speaks for itself - only the finest!" Her Work Ethic is Second to None! "I have witnessed her vast knowledge of the industry, her strong perseverance in dealing with the difficulties of today’s real estate market and a work ethic that is second to none! I give my highest recommendation of Carol." "Carol is one of the most professional real estate people I have ever worked with in over 36 years of my real estate experience. I feel fortunate to have such a resource when needed to call upon or bounce ideas off of. I could not do what I do without her help." I Would Follow Her Anywhere! "Carol is the BEST Broker/Owner in the World. She is always available for help, support, questions and always has YOUR back if issues pop up. Personal and remembers all your little wants and needs. The Boji Crew has provided me with top of the line training, support staff and I will never leave Carol and follow her LEAD anywhere." I Wouldn't Be Anywhere Else! "Carol Boji, Broker Owner of RE/MAX Classic is a wonderful Person. She is fair and honest and always treats me like an equal. She’s always there whenever I need her. I’ve worked with Carol at RE/MAX Classic for about five years now and I wouldn’t be anywhere else. Thank you Carol for everything you do. I appreciate you." "Carol is an excellent leader both with the day to day staff and agent sales force. People often refer to how she gives her full attention to them when they need it. The leadership she displays positions us to thrive in our challenging market becoming a stable and profitable company in the future." Passionate, Dedicated and a True Business Leader! "I love recommending Carol Boji! I have known Carol for many years and I have always found her to be bright, very, very knowledgeable about her business and her industry, very involved, in leadership roles...and a very strong, reliable and resourceful Broker/Owner! Carol is highly respected for her honesty, her passion for building a strong company and her dedication to her staff, her agents and her community. Carol will always tell you straight, no fluff, just the facts. And she does it a very directly, clearly and concisely! Carol is the consummate real estate professional, business leader & Broker/Owner. "How refreshing it is to work for Carol! She is always positive, energetic and knowledgeable. She concentrates on making agents successful daily. She employs competent personnel from the top to the bottom. Whatever your need is, Carol or her employees are quick to assist with a smile. My career is fantastic with Carol as my broker!" She Gives it Her All! "One word describes Carol - "proactive." Always on top of her game with the latest technology and trends in the industry to build our realtors' business. If it is new in the industry, we have it at Classic. Her door is always open to our realtors and she is dynamic in her education on legal issues within the industry. Personable, interested, insightful and committed!" She Has the Highest Level of Integrity! "I have known Carol both personally and professionally. She has represented us on a number of Real Estate transactions and has always treated my family as if we were the most important client she's had. I've worked with Carol on a professional level within the industry and appreciate the level of integrity she holds within her organization. I would recommend Carol and RE/MAX Classic to anyone looking for a Real Estate representative." "Carol Boji is a magnificent broker/owner. She is always available to lend her expertise and guidance. She and her staff are always eager to help build your business and your skills. "Carol is full of energy and wisdom. She is a great Leader inspiring others to be the best they can be. "I've worked under Carol Boji for several years now and have been extremely impressed with her leadership style. She is not only a leader, but also an example of what a professional broker/realtor should be. She has been a guide to follow and an educator to learn from. I can't recommend her any higher." "Carol is a no nonsense broker who always has your back! She has created a positive, informative atmosphere within RE/MAX Classic in which to practice real estate." "Carol is a broker/owner who takes great pride in her business and works very hard to oversee her company and its agents so their customers and their real estate needs are well taken care of. She has multiple locations so they know all the markets and the real estate trends." "In the past four years since our company merged with RE/MAX Classic, I have had the good fortune of meeting and working with Carol Boji. As one of the broker/owners of our company she consistently demonstrates a very strong interest in the day to day operations of each office as well as each individual agent and their welfare. After working with two other firms I can honestly say that this company is extremely well organized and well run. Carol is a natural leader who takes a keen interest in her agent’s problems, issues and especially their victories. When she stops by any of the company offices, she makes a point of stopping in to see and speak with everyone including the staff. Company training programs are all very thorough and complete and our technology is truly state of the art. The RE/MAX Classic Annual Holiday Event for agents and staff are legendary and Carol works the room like a pro, visiting everyone in attendance. The Detroit Free Press publishes an annual list of the top ten businesses to work for in Metro-Detroit. In my opinion, if they ever do a list of real estate brokerage firms, RE/MAX Classic is #1." 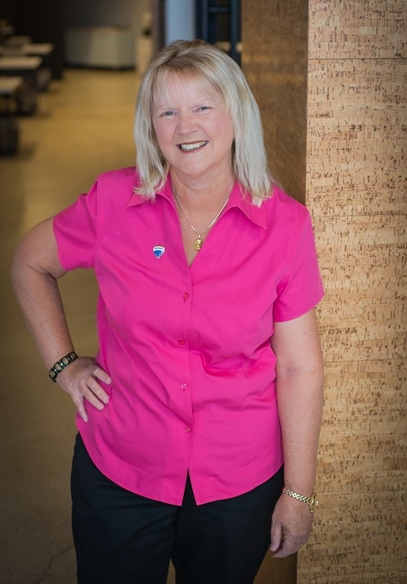 "Carol has been a phenomenal partner during my time with REMAX Classic. I am an agent in her office and her combination of hospitality, competitiveness, leadership and transparency are valuable assets that I seek from my business partners. Whether you work for Carol or with her, I hope you will find the same qualities I have." "Carol is awesome and one of my most admired mentors, she is knowledgeable,understanding, respectful and caring. I could have never achieved my goals in real estate without her. If your an agent somewhere that is unhappy with where you are and your broker, I would recommend Carol as your light at the end of the tunnel and a great asset to RE/MAX. I recommend Carol as a great broker and wonderful person. If your looking to work with a great broker who really takes the time to listen and mentor, Carol is your lady!" Strongly Committed to Her Agents! "Carol is among the most knowledgeable brokers I know in the real estate industry today. She is highly involved in leadership positions with RE/MAX and with the local boards and MLS systems giving her a strong competitive edge. She has a strong commitment to education and training of her agents to insure they are always first to market with new skills or tools. It is a pleasure to have her be a part of our RE/MAX family." Supportive Mentor with Exceptional Training! "As an agent newer to the business, Carol has been a fantastic mentor. She is very kind and always available to lend support when needed. As a broker/owner, she provides her agents with exceptional training and the most recent technology to be very successful. Thank you, Carol, for everything you do for all of us at RE/MAX Classic!"